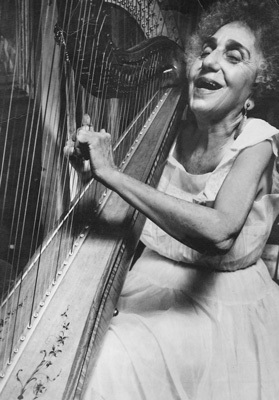 Catherine Jackson is seated at the harp. amount to a hill of beans. Photo by Amelia Adamsand disappears over the hill.